Your wedding is one of the most memorable and important days of your life. 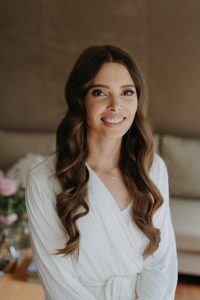 Using my 12 years of experience with weddings and up styling for events I will endeavour to make your day run smoothly. I will help you pick a style that suits your face, wedding scheme and compliments the gown you have chosen. Trails are absolutely mandatory and will give you peace of mind on the day. You know exactly what you will be getting and also gives you the opportunity to play around with a few different styles that you may have your eye on. I have some amazingly talented makeup artists that I can recommend that i have worked with many times to create the perfect look for you. We go over all the details of your wedding, your dress and your taste in hair . It is a good idea to gather pictures before your trial date of pictures of hair that you like and also, don’t like so i can get the best idea of your personal taste and come up with a style that will be perfect for your day. 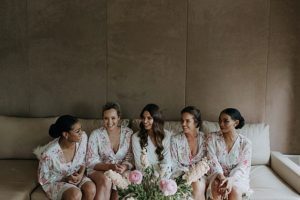 We talk about the look you would like for your bridesmaids so that everything is well planned for your big day, so you can feel 100% comfortable. What do I need to do to be prepared for the trial? Wash your hair the day before the trial. Do not use a leave in conditioner or oil. Your hair will style better if you use salon quality products. Blow-dry it as smooth as you can. Bring a photo of your dress and your bridesmaid dresses. Bring your veil/clip and accessories with you. How long does the trial take? A hair trial is around 1.5 hours. I like to take my time with you and get to know you as we I’ll be with you on your special day. Please note: I do one hair style at your trial only. Of course I am happy to tweak the look for you to make sure you like it but it is not the opportunity to experiment with multiple styles. This is why it is recommended to research the look that you like in advance. Trials are available week days only. I try to be flexible but please remember I work full-time in the salon and also off-site with shoots and television and other weddings so I like to be able to allocate sufficient time for trials and this is only possible on weekdays. 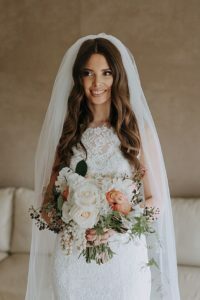 I would also recommend trying to get your makeup trial done on this day so you can see the look tied together, you wont be able to get an idea of the final look with just one or the other. Travel costs such as hotel parking and tolls also need to be paid for and parking must be made available due to the equiptment I will be required to bring. Travel costs are $75 per hour. All accommodation costs to be covered as well. For interstate or International travel the wedding fee is a minimum of $1500 plus expenses such as flights, taxi’s and accommodation. Directors Frankie and Rhiannon have done their time is Australia’s leading salons and international Fashion Shows, won their fair share of awards and businesses. Both thriving and preferring salon work, where they have their own space, to express creativity and overall make people look and feel amazing.